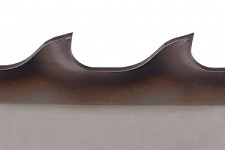 HONSBERG METALLSAEGEN GMBH is one of the leading producers for metal cutting bandsaw blades world-wide. Our product range consists of Metal Cutting Bandsaw Blades made of Carbon Steel – Flexback and Hardback Metal Cutting Bandsaw Blades made of Bimetal - M42 and M51 qualities Metal Cutting Bandsaw Blades made of Bimetal as Special Purpose Blades Structural blades, Foundry blades, Tool & Stainless Steel blades Metal Cutting Bandsaw Blades made of Tungsten Carbide / TCT (High Speed Cutting, Aluminium Cutting) Regarding the quality of our products we can assure that we only produce saws of first quality which have been used all over the world to the entire satisfaction of our customers since 1798. As a manufacturer our quality control management is certified according to ISO 9001:2015 which guarantees a permanent high quality level. All products are made in our facilities in Remscheid, Germany. 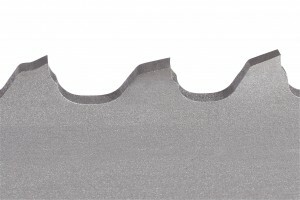 •Metal Cutting Bandsaw Blades made of Tungsten Carbide / TCT (High Speed Cutting, Aluminium Cutting).